4k00:10Aerial view: slow flying above the sunflower field at sunset. Flying forward. 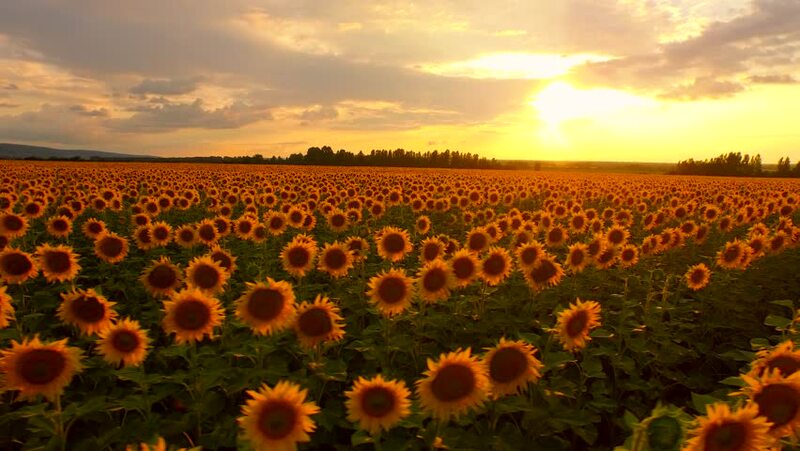 Green and yellow sunflowers on the beautiful field.